You can introduce your totz to our beloved Leo Lionni with these board books, inspired by his body of work. 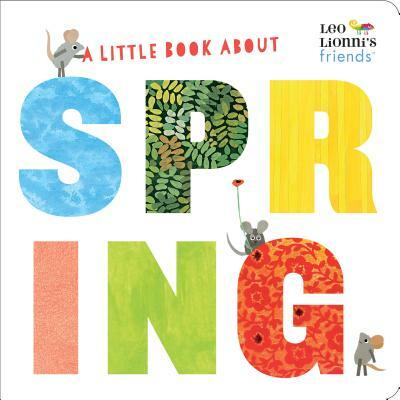 Whether celebrating spring or introducing the alphabet, Leo's adorable mice will be loved by first readers. Adults will enjoy the references back to earlier books. W is for wide wall. X is for x-tra special surprise. Welcome your totz to the world with Leo's little mice. They help us to see, learn, and celebrate! 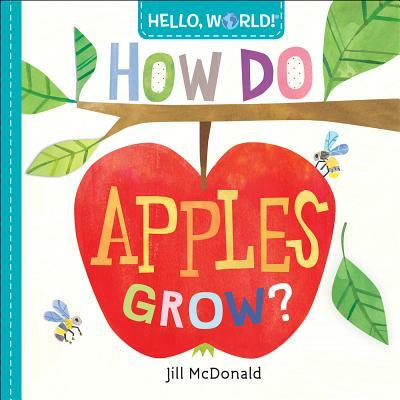 The series Hello, World introduces How Do Apples Grow? 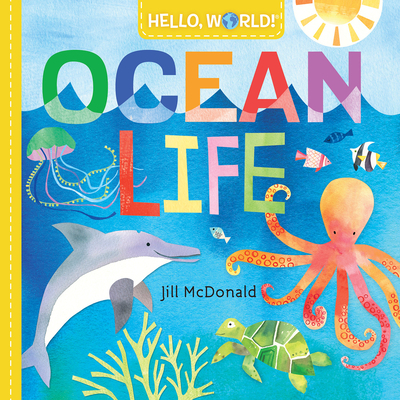 and Ocean Life, both written and illustrated by Jill McDonald. 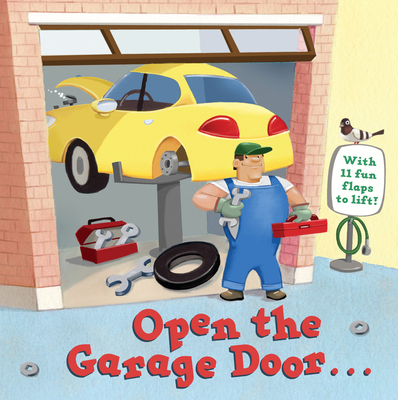 Readertotz will be introduced to science and nature concepts in this durable board book series. How Do Apples Grow? walks the first reader from seed to ripe apple. "In spring, buds on its branches open into pink and white flowers. Each flower will become an apple." The work concludes: "Good things are worth waiting for!" In Ocean Life, McDonald continues her bright, cheerful illustrations and invites the first reader to, "Dive in and take a look!" "Whales are the giants of the ocean. A blue whale can grow to be as long as two school buses! Whales breathe air through a blowhole on their head." After the overview of sea life, the reader is encouraged to choose their own underwater favorite. Hello, World is a strong addition to the first science book category. 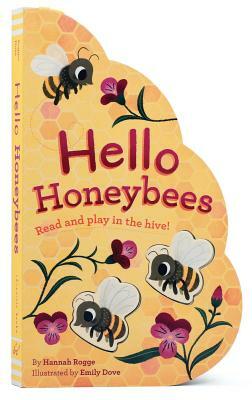 Give a little love to our precious honeybees with Hello HoneyBees from Chronicle Books. Hannah Rogge's text introduces the life and work of the honeybee, while Emily Dove's illustrations include two puzzle piece bees, attached by ribbons, to play in pages cut in the shape of a hive. Little fingers can speed the bees about the garden to collect pollen, mimic the wiggle dance, and build the honeycomb. Then, busy bees can begin again. Lets share our love and appreciation for our bees with our readertotz. 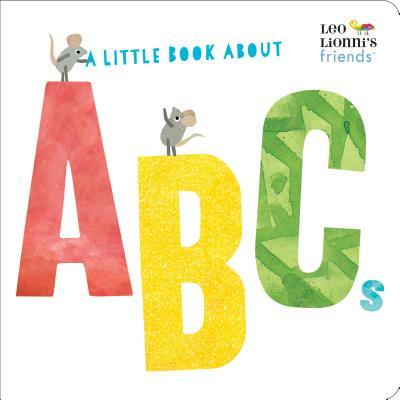 This is a beautiful board book that does just that and more. The rain falls, and all pup's color is washed away. He shivers in the dark gray until finding all the colors in a puddle. With a roll and a shake, the world is awake again with color. Here is a beautiful introduction and celebration of colorful life. Happy Poetry Friday! Publisher Twirl is knocking it out of the park! 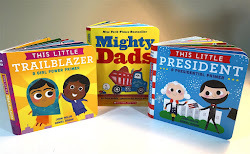 I'm excited to share recent titles of these high quality board books. Watch for more upcoming, but today, I'll point to two written by Stephanie Babin. Touch and Explore Construction, illustrated by Benjamin Becue, brings a new dimension to the building themed book. Inserts hold relevant textures within the scenes. Safety cones are shiny plastic, rubble feels like rubble, a crinkled paper feels like wood, and wet paint feels sticky. Setting up, demolition, building a house and road are featured along with more. Various races, genders, and ethnicities work, walk, and play side by side. Smaller font offers further information such as: Even the repair of a streetlight is a small construction site! 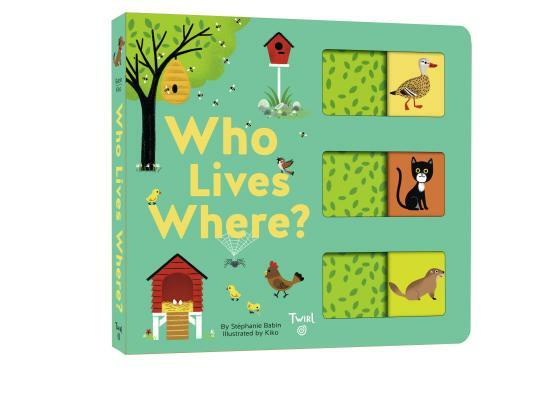 Also by Stephanie Babin, illustrated by Kiko, is Who Lives Where? This is one of my favorite Twirl books. The left spread establishes a location and inhabitants who live there. i.e. In the House: a guinea pig, a cat, a spider. Each says where they live and the illustration includes the home, which may or may not be inhabited. The cat is not in her bed. The right spread shows those isolated animals and a sliding panel reveals their home. A reader might try to recall the mouse (slide the panel) lives in a hole. I find the engineering satisfying. The panels slide easily with a nice click. The book explores the house, farm, garden, mountains, savanna, and sea. The sole lives in the sand, while the guinea fowl makes a home in a shrub. There's an elegance and higher expectation in the tot in these two books by Babin. Brava! 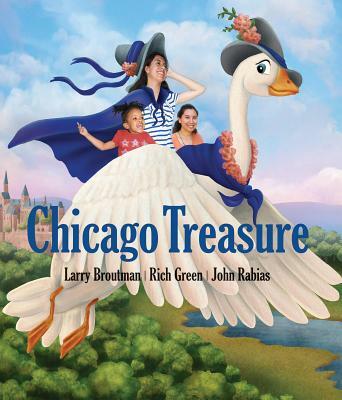 For those who love Chicago, or are looking for an introduction, Chicago Treasure is now available. Blending city sights, nursery rhymes, stories, fables, and art, local children are photoshopped into illustrations, art, and photography. At times, final art strongly parallel's original source material, including imagery from the Harry Potter series, Disney movies, and The Wizard of Oz film. 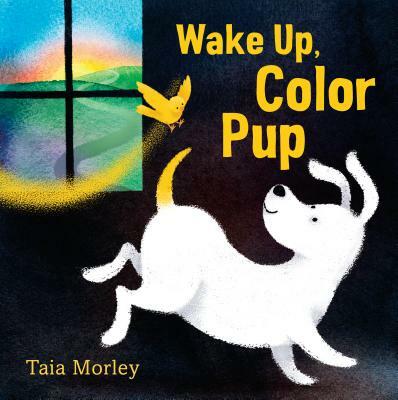 With diversity and inclusivity of children with differing abilities, the work is fresh for today's readers. Many students from The Chicago Lighthouse for the Blind and Visually Disabled participated in the project, and each is child is credited. Following the first section, "Just Imagine," featuring multicultural stories and rhymes, the "Now Showing!" section places children into art masterpieces. Aside from introducing paintings, the imagery may be a help as tots imagine themselves in relation to fine art. "Sightings" includes the photoshopped children and animals within scenes of Chicago. Short place descriptions are offered. Impalas, bears, and zebras accompany adolescents traveling through the city. A conclusion shares how a few of the children have grown since the project first began. All proceeds are donated to nonprofit groups. You might enjoy this ambitious book of love in honor of Chicago and her children. 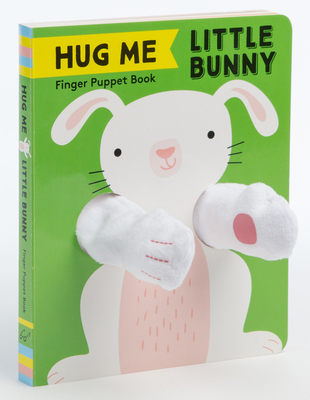 These two little board book, finger puppets will illustrate a parent's love for their tot. 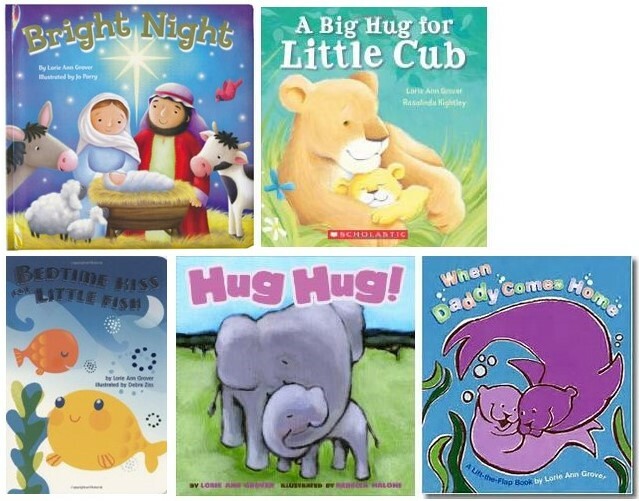 Whether taking the wee one dancing, tickling a belly, or sharing a treat, love is shared with a hug at the conclusion of both books. Digital art is enhanced with soft puppet arms that are easy to manipulate to illustrate the featured spread. 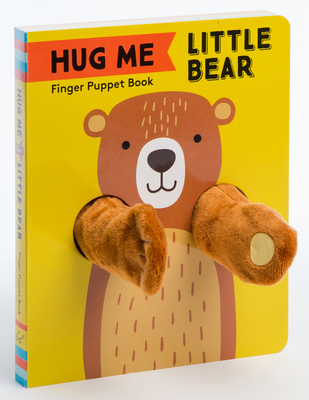 The interactive book will offer snuggles to bear, rabbit, and totz alike. Happy Poetry Friday! 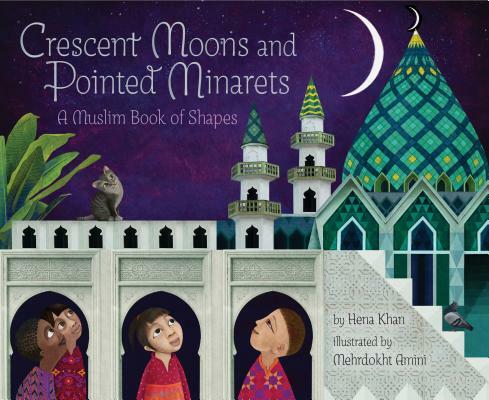 Our Top Shelf pick today is Crescent Moons and Pointed Minarets. Bringing both shapes and Muslim worship to the picture book page, this work is an enriching masterpiece. From the rectangular mosque door to the octagon fountain, acts of worship and their setting in various countries are illuminated. Relish this celebration with your readertotz! Happy Poetry Friday! Welcome, newborn totz, to 2019! The world is wide and wonderful and full of books. As author/illustrators, Joan Holub and I continue to share the best board books which cross our paths. May you find joy in them with your family. 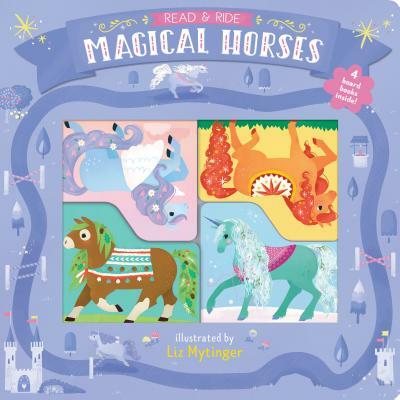 First up this year is Read & Ride Magical Horses. Four shaped board books nest inside a flat book box. When opened, the horses, pegasus, and unicorn have three scenes to meander through. Each horse additionally opens to share his/her story. Chestnut is curious. Blizzard is brave. Flicker is graceful, and Cloud is kind. Active verbs such as soar, gallop, and trot, are illustrated as well as kindness to community. This dual book and play set will entertain and certainly be beloved by little horse enthusiasts.